Linux Mint 17.1 “Rebecca” Xfce RC released! 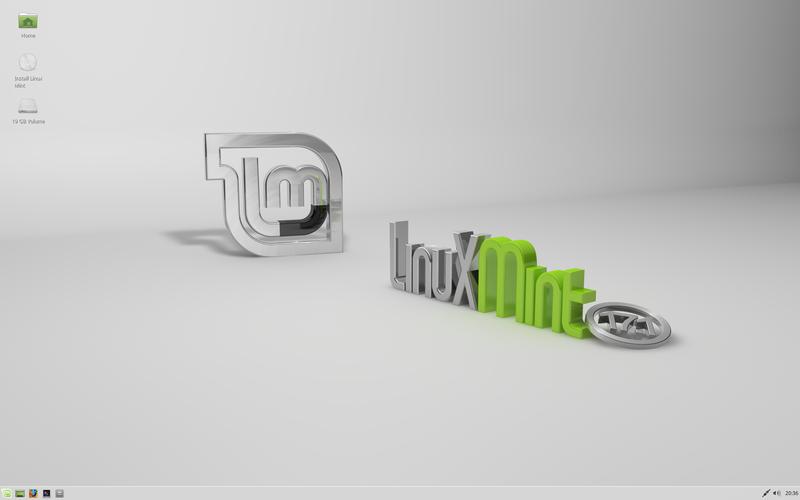 The team is proud to announce the release of Linux Mint 17.1 “Rebecca” Xfce RC. 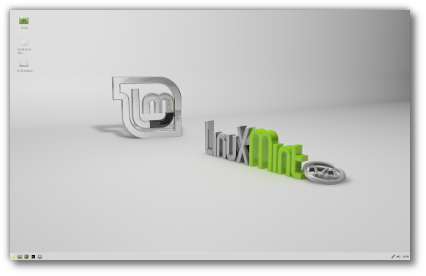 For a complete overview and to see screenshots of the new features, visit: “What’s new in Linux Mint 17.1 Xfce“. Next Next post: Linux Mint 17.1 “Rebecca” KDE RC released! Good news again! Merci beaucoup pour votre travail et vos efforts. Hi, first I like to thank all developers esp. Clem. Fantastic Work! Edit by Clem: 17.1 is a new release, you need to switch qiana sources to rebecca. Some like Xfce. This is good news for them. Thank you. Impossible, until now, to deal with individual package updates without hours of studying dependencies and versions. The logic of mintupdate, always good, is mature. And locale, language and location are rational! My praise for slowing down a little, to make best use of mint’s LTS base. Edit by Clem: Thanks kju. I had been using 17.1 Cinnamon and it was working very well. I decided to install and try this Mint 17.1 Xfce RC. Even with Compiz enabled it is just crazy-fast on my laptop. Great work guys! Edit by Clem: Compiz is pretty lightweight, at least when compared to other compositing WMs. 1. Clicking the “Install Linux Mint” icon on the desktop produced a lengthy popup error message about trouble mounting /dev/sdc1 (the USB stick holding the image). Same error after manually mounting or unmounting the stick. The install option in the menu worked normally. 2. Dropbox icon is not displayed in the panel, but Dropbox daemon loads and functions as usual. I’ve seen this elsewhere, and seen numerous similar complains. I suspect it’s related to the new QT-based Dropbox release. Is this tweakable via a GTK config file? Edit by Clem: Hi, here are the changes to our Xfwm theme https://github.com/linuxmint/mint-themes/commits/master/usr/share/themes/Mint-X/xfwm4, as you can see the only relevant change is this one https://github.com/linuxmint/mint-themes/commit/443c49d58cd66c60f895c2a4c6ed8b8182570a76, it should make windows more “grabby” though, not less.. as it increases their border width. Other than that 17.1 changed a few Xfwm default settings, in particular around tiling/snapping but that should only impact things near screen edges. I’ve lost the compiz original configuration. Can someone help me? Edit by Clem: Remove ~/.config/compiz-1 and log back in for Linux Mint to regenerate it. Hi Clem and Linux Mint Dev Team. 🙂 Thank you, kindly for this and the LM 17.1 KDE RC release. *Bug* I am currently using LM 17.1 Cinnamon 64bit (via update), when I attempt to write an ISO to the USB, with the Image Writer tool, the window just hangs, and everything else just “locks up”, until it appears the ISO is finished being written to the USB (flashing light). Let me know if you need any other info. I have not tried, the above tool on the current RC releases, yet. I was unable to switch mouse from right-handed to left-handed. Yes, the radio-button changes. No, functionality doesn’t change. The following pertains to trying the Live DVD session (not an actual installation of Mint 17.1 XFCE RC on my actual machine). *It boots into the XFCE desktop just fine but when I try to shutdown or reboot from the live DVD, the system just gets stuck in a screen-wide terminal with some status information, even after ejecting the DVD. The only way to actually reboot is to hold down the power button to force the machine off, then press power again to boot up. *Using Firefox from the live session works fine except for one minor graphics bug. Once in a while, the text inside the address bar turns into a single, solid black bar, the length of the web address, minimizing and maximizing the browser window doesn’t fix the issue…. restarting the browser sometimes does. I tried looking at other programs that have built-in text fields, but this bug/behavior seems to only affect Firefox, at least on my graphics chipset (Intel 82852/855GM). *Compiz doesn’t seem to work at all in the live session, even after I’ve assigned keystrokes to activate my desired effects (ie. scale, ring-switcher, wobbly windows). I know for a fact that my machine is capable of rendering these effects because I’m using them on my current installation of Mint 13 XFCE (Maya), on the same hardware. Edit by Clem: Point 1 is probably related to modem-manager. Point 2 needs troubleshooting, inxi -Gx should tell you if you’ve got acceleration working. You can also run compiz in software acceleration mode with LIBGL_ALWAYS_SOFTWARE=1 compiz –replace. I have a bug report: the title “Menu” isn’t shown next to the Mint icon for the menu, as in the other desktop environments. right-click the Mint icon for the menu – Properties – section Panel button: change it to “Icon and title”. So it’s just a simple settings change…. Please apply it in the final release? + Good choice to have application categories on left, right under the mouse pointer when clicked on the app menu. – ‘Skip’ was disregarded for ‘Downloading language packs’ stage of the installation. Download continued merrily. First click on the Skip button simply showed details (text window underneath). Second click made the button and the details disappear, but download continued. – I experienced the same as mentioned in rkmugen’s first point above: after installation was done from a ‘live CD’ (virtual mount of .iso image), I had to reset the VM. Instead, I expected a graceful restart. ACPI shutdown signal sent to the VM did not work, either. – When a mirror is changed (due to overload on the packages.linuxmint.com) for main or base, and ‘Update the cache’ button is pressed, if individual file progress is seen, it shows ‘Failed’ against all the entries it would fetch from the new mirror, then download the contents, and show ‘Done’. Instead, for all such entries, it should show ‘Queued’. Current ‘Failed’ status makes the user think that the failure occurred even with their new choice. Thanks for that bit of useful info Pjotr. I don’t know if the mint menu is supposed to behave like this, but for the life of me, I can’t use the keyboard to navigate the LEFT side of the menu after pulling it up. Only the items on the right-hand side of the menu can be selected with my keyboard. Is this a bug? Or is this how the mint menu is supposed to behave (by design)? Edit by Clem: You can upgrade. I want to upgrade from 17 to 17.1 (xfce) and not install from scratch but after a refresh there is still no “mint upgrade” possibility offered. Maybe we have to wait for a final version? :How do I update the adobe flash I keep getting info that firefox has prevented the outdated plugin adobe flash from running on blog.linuxmint.com I have tried to downloaded it several times. Really nice, i’ll update from 17 as soon as it will be prompted. Nice colour themes, fast, with alt-mouse wheel zoom: that’s why i really like this edition. Would be nice to have ctrl-alt-t for terminal also here like in mate. Going to try it right now ! Same thing happens to me as comment 21. Menu doesn’t navigate to main categories, just programs on the right side. Other than that, everything seems fine so far, after 2 days of using it. 17.1 Seems to be faster than 17. Still, bug that’s affecting Chrome and Chromium on 17, is still happening on this. Bug is related to Intel GM945 graphics, browsers crash if GPU is not disabled manually using the –disable-gpu flag. This started happening on Chrome and Chromium 38 and higher. I think it’s something related to the graphic accelerator integrated on the browser, or the video driver on Linux, I’m not sure. No Dropbox icon for me as well? Some discussion here that also points to a possible QT issue (scroll down). By creating and adding the code suggested to a newly created ~/.xinitrc file I was able to get the Dropbox icon in the xfce4-panel temporarily, but on reboot it is gone and I haven’t been able to get it to appear again. Other than that I’ve not much to complain about. In fact, all is working so well I’m having trouble believing this is a RC and not a Final! is there any possibility for upgrade to 17.1 with upgrade manager? Edit by Clem: Hi Mike, yes, but only after the stable release. would someone kindly inform us if and when the bug with USB image writer will be removed, this is really unacceptable, thanks! Edit by Clem: Hi Vladimir, please link us to the bug report. Agreed. That’s a possible workaround, but actually I remember fooling around with that exact Firefox entry back in the day, when I was trying to see if I could get the website for Clouds WebGL to work. It never worked because of my graphics chipset (Intel 855GM) didn’t support it. But one thing I do remember as a side-effect of disabling Xrender in Firefox was that over all performance of the browser took a major hit… most notably when scrolling through the most trivial of websites, like for example Google News or even an eBay listing. Hi Guys. Just tried the XFCE RC via live USB on a Lenovo G580 i3 and an Asus 1015PX N570 and both run like a dream. Tested all my daily applications and found no bugs at all. The new backgrounds, themes and login screens are some quality polish that makes the whole package look very professional. Will follow up with a full install and try out some downloaded software next. – I experienced it too, on upgraded Mint 17.1 Cinnamon 64bit. What happens: when clickin on “start”, the whole OS freezes until the image writing is done. – what I noticed, accidently, is that this problem only occures when I am writing the image from the “local”- Mint’s drive. I was writing XFCE image, from the “downloads” folder, when I experienced this bug. – but when I started to write the same image, but from my second hard drive – not partition! – it ran flowlessly, without any freeze or problem. – so it seems like, this bug, freezing only occures when the image you are writing is on the same drive, your OS is. At least for me. Edit by Clem: How many CPU cores do you have? Does your CPU run at 100% when that happens? Please open an issue at https://github.com/linuxmint/mintstick/issues so we can take this to github. Edit by Clem: Hi, it’s off-topic here (you’re talking about Cinnamon, this is the Xfce release). Nevertheles, account settings needs to query your webcam to see if it works in order to activate the option that allows you to take a picture of yourself. That’s by design and there’s no security issue here. You can review the code that does that at https://github.com/linuxmint/Cinnamon/blob/master/files/usr/lib/cinnamon-settings/modules/cs_user.py. If you find a way to successfully query the hardware without temporarily activating the cam, we’re all hears, so far that wasn’t possible. As you can see in the code though, nothing is saved, sent, used as a result of that though. Hello, I put 17.1 Linux Mint XfCE on a thumbdrive using Unetbootin. I have an old XP laptop with 2GB RAM that I decided to try to use the bootable thumbdrive with. When I attempted to boot the thumbdrive, it wouldn’t boot and gave black screen. The computer will not boot at all now into XP either. It simply gives black screen. I have heard that black screen is often associated with video card driver problems. I am not blaming Linux Mint for this but I am providing this info in case anybody has any idea as to how to solve it, and whether I could ever run Linux Mint on it. Edit by Clem: Hi Joe, check your BIOS settings, the installer is the only component which makes modifications to your system, simply booting the ISO or attempting to boot the ISO doesn’t modify anything. Also regarding my message above, I used the 32 bit 17.1 XFCE ISO. I figured 32 bit was best since laptop is about 10 years old. Regarding my problem posted above, I should mention that I am unable to boot into safe mode either. Edit by Clem: Make sure mint-meta-xfce is installed (or mint-meta- depending on your edition of Linux Mint) prior to upgrading. did not see the upgrade path for the xfce version in mint update looking forward to upgrading this is in my opinion the most stable version of linux that I have used. example closing the lap top) . Dell D630 works with compiz! Full install on Dell-1520 [Celeron M540 + 2.5Gb RAM + BCM4401 B0 + BCM4311] has flushed out a glitch with the wireless network adapter. The Driver Manager reports that the Broadcom 1390 WLAN Mini-card is not working. My usual “fix” of installing the linux-firmware-nonfree drivers does not seem to work, and the Driver Manager’s offer of installing bcmwl-kernel-source just borks the Eth0 connection as well. I’m guessing this is due to the linux kernal moving to 3.13.0-37 as all this worked just fine under Mint17 prior to the RC being installed. Otherwise all application software and the XFCE desktop are running perfectly. Edit by Clem: Hi Mark, don’t hesitate to downgrade the kernel, you can go back to the same version 17 was using. Check the kernel page in the view menu of the Update Manager. Eventually after many hours I made an ISO of Mint 17.1 xfce (latest version) which mentioned in the release notes that some screen issues had been addressed, not specifically on Radeon but I thought it was worth a try. Below are the steps I have taken to resolve this issue and I now enjoy an operating environment I expected. ii) the Hard-drive “Boot Option #2” to “ubuntu (PO: HGST HTS541010A8E680)” or similar depending on the HDD manufacturer. For some strange reason, the default on my machine changes to just the HDD if there is not a DVD in the drive, when you place a DVD in the drive it appears as “Boot Option #2”. I changed the selection as in i) & ii) here for the installation process. Yes it reversed again when rebooted to the HDD as Option #1, DVD Option #2. – DONT SAVE & EXIT YET. 4)	Put the install ISO DVD in the drive and close. 6)	The laptop will reboot and ensure that the “Tab” key is depressed and held until the boot options appear on the screen. 7)	What we want to achieve here is to edit the Grub script. Make just one change to the above script. making sure that if any “- -” was the last characters on the line are deleted. There is no way that you can save this to the DVD so simply press ‘F10’ to continue the boot. 8)	Allow the machine to complete its boot from the DVD. 9)	Click on the install icon and perform the Mint upgrade/install in the normal way. 11) ‘Reboot’ the machine in ‘Recovery Mode’. 12)	When it reboots and presents the Recovery Menu we want to enter the root, however, selecting it now puts you into a “Read only” mode which is NOT what we want. So choose the “network” selection and it will enter a “read/write” mode and return you to the Recovery Menu. Now you can choose the “root” selection, enter your password when asked which puts you at a terminal prompt. 13)	What we want to achieve here is to edit the Grub script. This time its not the DVD version but the one on the HDD. Make two changes to the above script. ii) Line 6 to now read GRUB_CMDLINE_LINUX_DEFAULT=”splash radeon.modeset=0” making sure that any other entries are carefully considered before deleting. This said I deleted the quiet word as it was not considered necessary. i) Save file :w the :should take you to the bottom of the screen & wait for you to give a command. The w will write the file to the hard disk. If you find you are in trouble use :h for a help list of the commands. ii) Enter :q or :e to quit or exit the ‘vi’ editor. 15)	While still in terminal mode the driver must be installed for the Radeon Graphics before the job is complete. This is needed to use the ‘radeon.modeset=0’ you just added into the Grub script. So without both steps completed your problem will not go away. 16) Now is the time to reboot the machine and begin the long process of booting and allowing the software updates to take place and your laptop is ready for regular use. I hope this will make your fix a much more pleasant experience than the one I had. I have to thank the Mint Blogs for many of the clues I gained during the process. This procedure may also work for other flavours of Mint but I’ll leave that up to others to test. Sorry the header for #38 was not presented. The problem was on an ASUS F550ZE or X550ZE Laptop. The screen was black after loading Mint 17.1 xfce. Love it, when we can wait final release? Everything works perfectly for me here! Tried Rebecca Xfce on a Toshiba Satellite. It installed fine, and works fine, but for two small glitches: first, the Xfce terminal’s menu bar doesn’t show, and settings aren’t available, so you can’t set your preferences. Two, the menu and options in two KDE games that I installed – mines and mahjongg – are incomplete or non-functional. But these are small glitches and it’s otherwise a great distro: my favourite since Olivia. Best wishes, and a great Christmastide and New Year to you. Super distrib, mes parents ont pour l’instant mate 17 mais je prévois de leur installer xfce sur leur machine. Petite question: pourquoi l’outil de capture d’écran n’est pas taduit en français alors qu’il l’est sur mate ? Comment faire pour le franciser sous XFCE ? Good, but I am need to install grub on /dev/sda3 not on /div/sda while installing Linux Mint 17.1. How to customize that? Thank You All for yet another wonderful edition! and there it comes…. point 8: trying to open the page “empty new tab page” in chromium caused black screen, non-responsive system, had to force power off and reboot. Can reproduce. Issue with chromium? or xfce-related? Good, grub can be installed on /dev/sda3 – just select right choice on a step. > Tried Rebecca Xfce on a Toshiba Satellite. > and settings aren’t available, so you can’t set your preferences. I changed settings, Firefox to watch an hour+ of youtube. Any idea why Cinnamon crashes? as ‘compatibility mode’ uses software rendering. Edit by Clem: Hi Bill, that’s it exactly (Gallium 0.4 on llvmpipe … that means it’s running with software acceleration). That itself is an issue in both edition, in Xfce the DE/WM don’t need acceleration though so you’re ok without it (unless you do gaming, or other things which require acceleration), in Cinnamon the WM can’t really run without it. You can force it to software render with the Cinnamon2D session but that’s just for troubleshooting, it won’t be a nice experience. I’d recommend looking into the driver issue and restablishing acceleration first, after that Cinnamon should run smooth. 2. I have Mint 17 XFCE already installed and I’m very happy. Will the Update Manager upgrade into 17.1 automatically? or do I need to upgrade manually? and when should it happen? Edit by Clem: Hi. RC stands for Release Candidate, you can think of it as a “Beta” release. Its purpose is to let people try it and to fix a few last bugs before we release the stable release. Regarding the upgrade, yes, you’ll be able to upgrade 17 to 17.1 without reinstalling anything. This will be an option in your Update Manager after the stable release is out. There will be an announcement for that and an update to the mintupdate package. some please help me the wifi network isn’t working i’ve tried everything. Your wifi adapter is possibly not recognized. Is it a small USB dongle? I had that kind of problems with some distros like Debian. Great distro, love the Cinnamon edition, and xfce has breathed new life into my old Compaq that had Win XP with an AMD Athalon 64 processor. It works great, the only consistent bug I have noticed is that sometimes running an application will randomly cause key-bindings to stop working for hot-keys that I have changed from default in the window manager menu (note: only things that had a default binding that I then changed). It doesn’t happen too often (I can always reproduce using Wine, but that is probably because, well it’s Wine), and reverting to the default binding seems to negate the issue so I will make do. However for knowledge sake, it may be worthwhile to find out why key-bindings in the XFCE version are harder to maintain than say Cinnamon. Great job on the whole though, very impressed with what you have done here! Le placement du raccourci dans la barre de tache est aussi aléatoire, il est dommage qu’il ne se mette pas directement à côté des autres raccourcis rapides. Le screenshot gnome est au moins francisé domage de ne pas l’inclure directement. Edit by Clem: Hi Nicolas, we’ve fixed both issues in mintmenu a couple of years ago. We’ll try and do the same in whiskermenu and PR the fixes upstream to the menu’s dev. There is no security issue: the account details cinnamon module just initialises the webcam to enable the “take photo” option when users click to change the avatar. This results in the webcam briefly switching on. This could be worked differently but is not an issue; you can of course check the source to confirm.